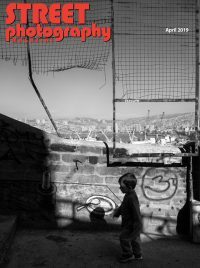 Nick Turpin founder of In-Public has created Street Photo Library, an archive of street photography images taken by talented street photographers available to license at prices that are fair to both photographers and buyers. Nick says, “Why shouldn’t street photographers make a living?” Currently, you can register to be a part of Street Photo Library if you are a street photographer. In the next few months, Street Photo Library will be launched to image buyers. And be sure to visit the official website to learn more about how the library works, commision rates, licensing and more.